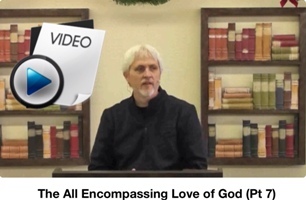 Everything starts with understanding God’s Agape, unconditional, no obligation love for us! Everything is held together by His word (love). The most powerful force period. 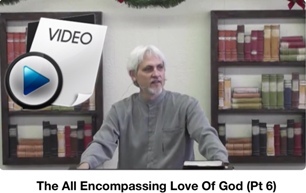 This love is clearly demonstrated in Jesus finished work, it is displayed in His Grace. The foundation for understanding your innocence, enjoying your peace, and fullness of joy; thus experiencing His Kingdom (within you) and quality of life. It has a profound effect on our confidence and prayers. It begins with the revelation of His love for YOU! With this understanding let us explore in this message what doubt really boils down to, and how it affects us; and how accepting condemnation robs us of our innocence, peace and joy. The peace of God, will guard your heart and mind…In this message we explore the foundation of God’s love and how it affects everything in life, particularly what we believe about God. When this foundation of His love becomes settled in our hearts, (we are fully persuaded that He loves us unconditionally) then the “Kingdom of God” within us becomes a reality. His love secures our righteousness (innocence) leading us to true peace, producing the joy of the Lord in our lives. Join us as we explore deeper into the breath-taking love of our Savior and its effects in our life! Learn what “enter into peace and be whole” means. It means a lot more than most people think! We continue in the understanding of God’s amazing love displayed to us in Christ Jesus, and the finished work of the cross. His love really is the foundation for everything, because that is who God is. Peace is a result of this amazing love, which brings us to being able to rest in Him. Peace that passes all understanding and joy unspeakable, are truly ours to enjoy. The question about the “Tithe” is probably the most asked question we get both on and offline. More people feel condemned and are made to feel condemned over this subject. Teaching the Gospel of Grace is not about forcing people to believe a certain way, but about teaching the “good news” about God’s love and grace, and helping people find answers to their questions based on a foundation of unconditional love; and helping you discover for yourself…the truth. If you really want to do some digging on the subject of the tithe, these videos will certainly ignite your faith and stimulate your thought, in understanding that Jesus is the tithe. 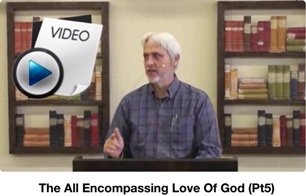 The first video was taken from a series (The entire series will bless you) and teaches specifically on this subject. 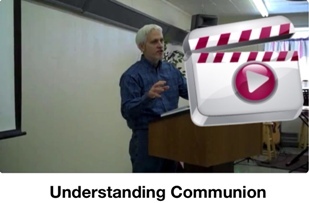 The title of the second video “Understanding Communion” has much more to do with the tithe then you might have ever thought. In this video the real meat of the subject is discussed about 30 minutes into it.